Looking for a personal present? 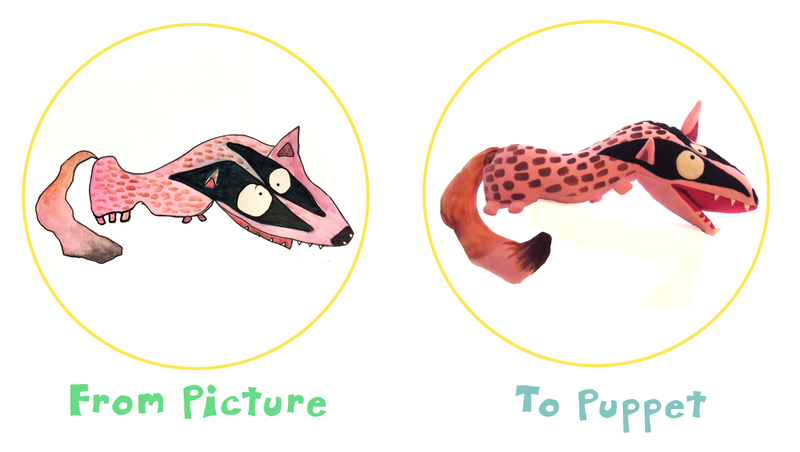 Picture to Puppet can bring your child’s drawing to life with a custom made puppet or soft toy. My high quality toys from kids’ drawings are individually designed and handmade in Edinburgh, Scotland. are a maximum of 1 metre tall. have moveable heads and legs. are a maximum of 45 cm tall. Lead times vary depending how busy we are. Normally I would allow 4 weeks for your order. Get in touch if you are in a hurry for your order though, as it is often possible to turn work over faster. The best toys are those designed by children. It stands to reason; toys are for children, so children know best what will make the best toys. Combine their wonderful imaginative ideas with the skill and experience of a lifelong full time toy maker, and you have the ideal toy. Children draw with a freshness and originality that is seldom retained into adulthood, and a bespoke plush toy can help capture this moment in their development forever. Simply email a picture of your child’s (or your own!) drawing to mari@picturetopuppet.co.uk and with a few weeks you can hold it in your arms! All our toys are completely safe for children and they are strong and hardwearing enough to withstand many years of love and hugs. We believe this so passionately that all of our toys and puppets come with a 5 year guarantee – if they become damaged, I will repair them, no questions asked. Happy to take any requests such as fabric type and size. Any special requirements you may have. Once you have placed your order, I will send you an electronic invoice. I will chat with you about your specific requirements to ensure that the finished result is exactly how you want it.